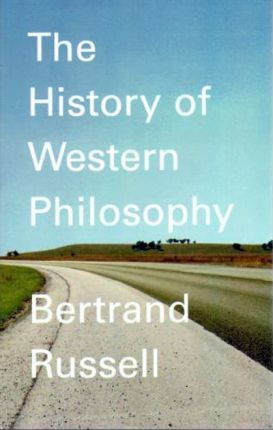 Hailed as "lucid and magisterial" by The Observer, this book is universally acclaimed as the outstanding one-volume work on the subject of Western philosophy. Considered to be one of the most important philosophical works of all time, the History of Western Philosophy is a dazzlingly unique exploration of the ideologies of significant philosophers throughout the ages--from Plato and Aristotle through to Spinoza, Kant and the twentieth century. Written by a man who changed the history of philosophy himself, this is an account that has never been rivaled since its first publication over sixty years ago. Since its first publication in 1945, Lord Russell's A History of Western Philosophy is still unparalleled in its comprehensiveness, its clarity, its erudition, its grace, and its wit. In seventy-six chapters he traces philosophy from the rise of Greek civilization to the emergence of logical analysis in the twentieth century. Among the philosophers considered are: Pythagoras, Heraclitus, Parmenides, Empedocles, Anaxagoras, the Atomists, Protagoras, Socrates, Plato, Aristotle, the Cynics, the Sceptics, the Epicureans, the Stoics, Plotinus, Ambrose, Jerome, Augustine, Benedict, Gregory the Great, John the Scot, Aquinas, Duns Scotus, William of Occam, Machiavelli, Erasmus, More, Bacon, Hobbes, Descartes, Spinoza, Leibniz, Locke, Berkeley, Hume, Rousseau, Kant, Hegel, Schopenhauer, Nietzsche, the Utilitarians, Marx, Bergson, James, Dewey, and lastly the philosophers with whom Lord Russell himself is most closely associated--Cantor, Frege, and Whitehead, coauthor with Russell of the monumental Principia Mathematica.